Well, the new Space Wolves codex came out on Saturday and I quite like it. I was scared for a little bit that my WYSIWYG Grey Hunters were now WYSIWYUTG (What You See Is What You Used To Get) but I think that the way that they are now is only fair. Moving on to the other HQ that I regularly use, I find that the Wolf Priest is slightly more expensive, although the combination that I use (on a bike) is slightly cheaper. I’m not sure why it got an increase while other HQs got a decrease but for me, he seems perfectly ok and I will carry on using him. My boyfriend commented that Oath of War was rather good until I pointed out that the Wolf Priest has always had it- I just keep forgetting to use it. 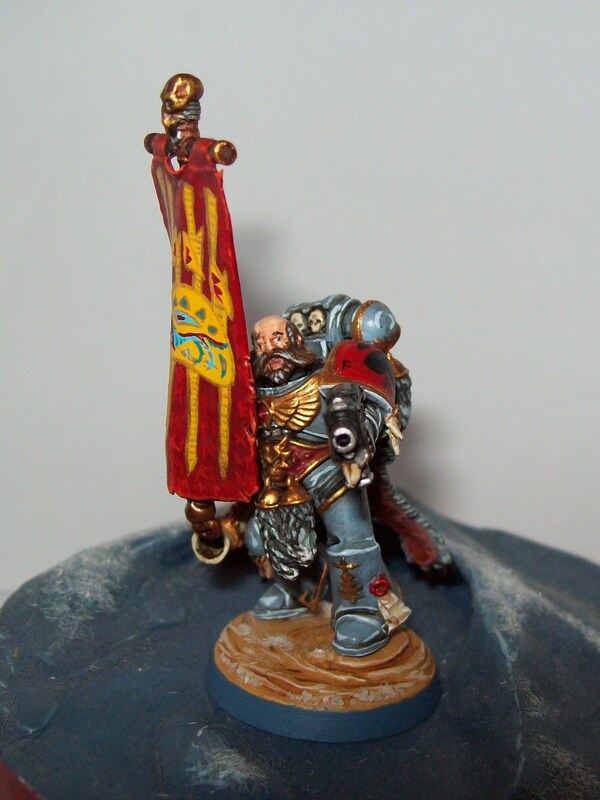 The Wolf Lord has also gone up by a mighty 5 points, although he now comes with the previously 25 point Belt of Russ as standard, so compared to the old equivalent Wolf Lord he’s cheaper, as are the Fenrisian Wolf escorts that he can take. The real bargain of the month though is the Wolf Guard Battle Leader who has dropped a whole twenty points without losing anything. 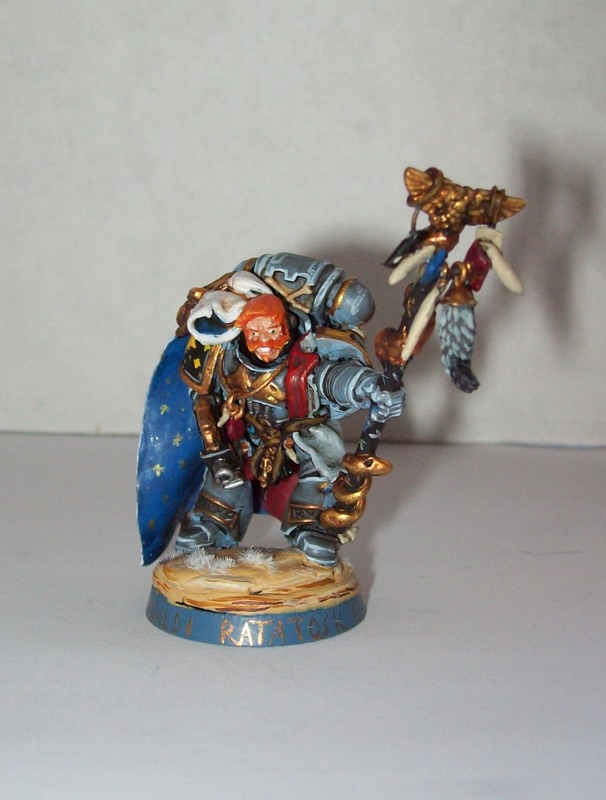 I reckon that he’d make a good HQ for a cheap allied detachment if you want say, drop pods or the benefits of the new Wolf Standard, although the Rune Priest is only ten points more. I’m not going to go into the special characters, I tend to forget that they’re there most of the time and so I haven’t paid them as much attention as I have to the rest of the book, so having looked at HQs I’m going back to troops as they’re next in the book. My main thought so far is that I need to build some more Blood Claws, the much needed drop is points cost means that I can use a small squad or two in my back field to keep an eye on objectives and the loss of Headstrong (yesss!!!) means that I won’t have to worry about them having to charge any enemy that comes near. What I really think I’ll do with them, when I’m ready, is load a large squad into a Stormwolf, giving me a flyer as a dedicated transport (freeing up a fast attack slot) and a whole blob of 3+ saves to harass the enemy in their own territory. Actually, it’s the loss of headstrong more than the drop in points that really make Bloodclaw’s a more desirable option. It wasn’t worth the risk before. 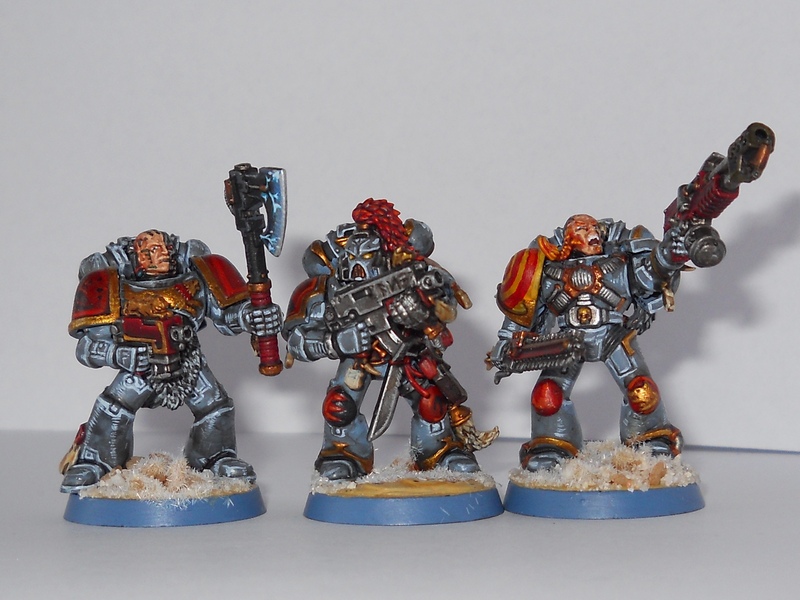 Grey Hunters were the core of my army in the old ‘dex and I see no reason why they won’t remain so now. The basic Grey Hunter has dropped a point but lost his extra weapon. However, he can get it back for 2 points and this little points increase is only fair, considering that Grey Hunters were most definitely under-costed before. It seems that they’ve given up trying to make everything a nice round number in this book, which is a relief, as I’d rather use a calculator than have a points imbalance (either way). The Wolf Standard has gone up a lot which at first glance seems rather steep. However its role has changed considerably. 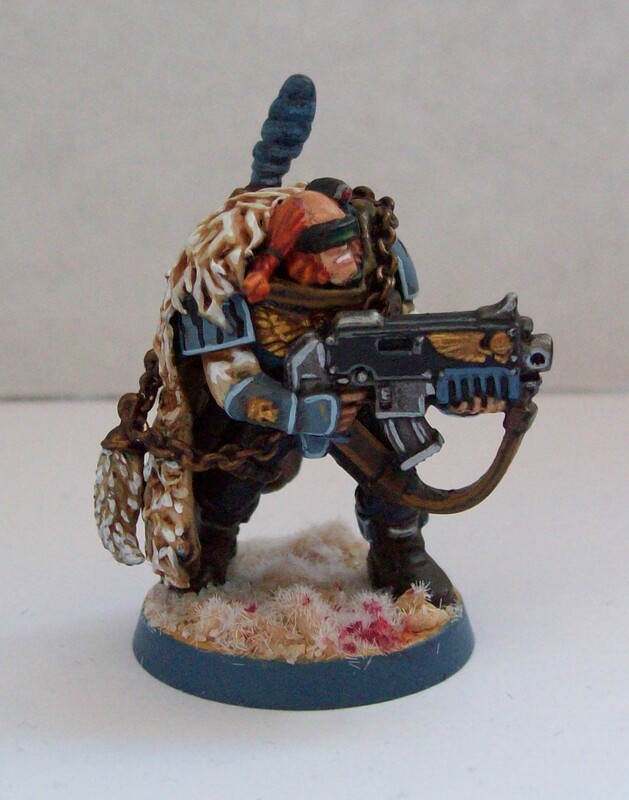 It used to allow rerolls of a 1 for one unit in one assault phase, however it now gives re-rolls on pinning and morale checks with 12” as well as +1 attack within 6”- all game and for any member of the Space Wolves faction in that area, which I think is possibly more useful if less tactical. I may drag it out for my next game against the other half’s Orks to see how it does as I wouldn’t mind Grey Hunters with four attacks each in melee against Orks (sorry sweetie). 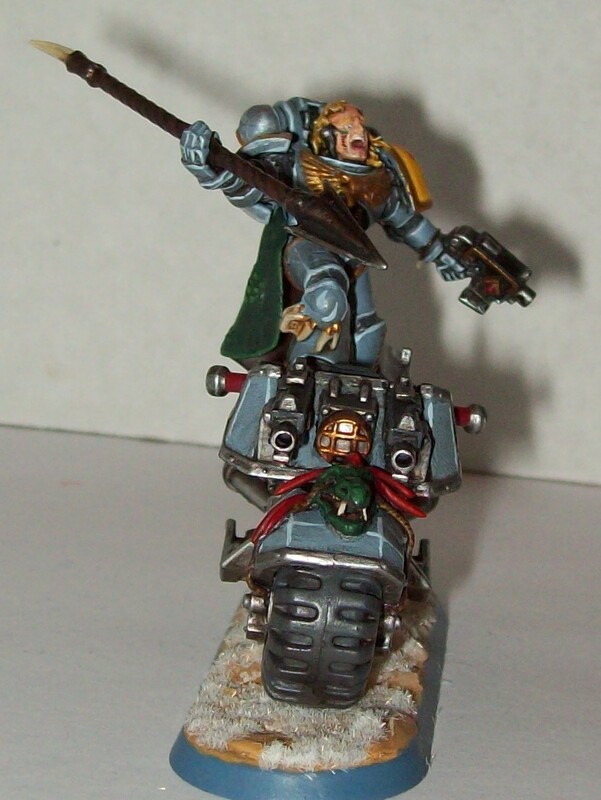 Then I’m onto Elites, I’ve never used an Iron Priest as my army is currently very vehicle light, so I’ll skip both them and the servitors and go on to Wolf Scouts. I’ve just started playing with these again having realised that infiltrating a bunch of guys with sniper rifles to a point where they can harass the enemy the most, is very good. They’ve gone down a point (which is good) and they can now get camo cloaks, so those natty bits of fashion sported by all the most discerning sniper scouts, now have a use. They’ve lost “Behind Enemy Lines” but that wasn’t really much use after 5th. They can also take Flakk. I can really see these guys staying in my new lists. I haven’t used a Lone Wolf very often, they’re fun but I’d rather take other things. However, they have their nice points (just look at all their special rules) and you can take advantage of being able to take one for each troop or Wolf Guard type unit without taking up a force org. slot. Next up are Dreadnoughts which I currently don’t use, I was given a kit for my birthday a couple of years back but haven’t dared build it because I love the idea but can’t settle on a loadout. I’m going to pick up the new Space Wolves Venerable Dreadnought and combine two kits to get the most out of all the new stuff. 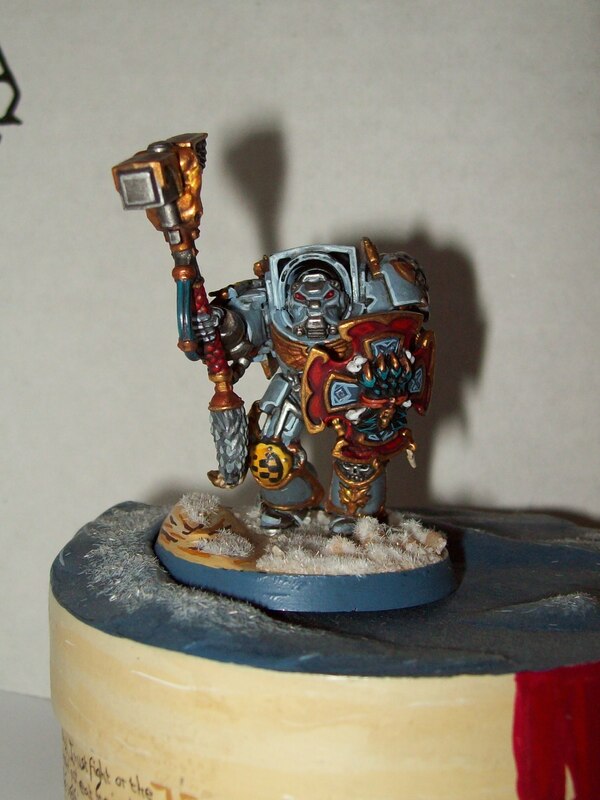 I like new Bjorn and I thibk I quite like the idea of Murderfang. If Blood Angels Dreadnoughts can fall to the Black Rage then it makes sense for Space Wolf Dreadnoughts to fall to the curse of the Wulfen. 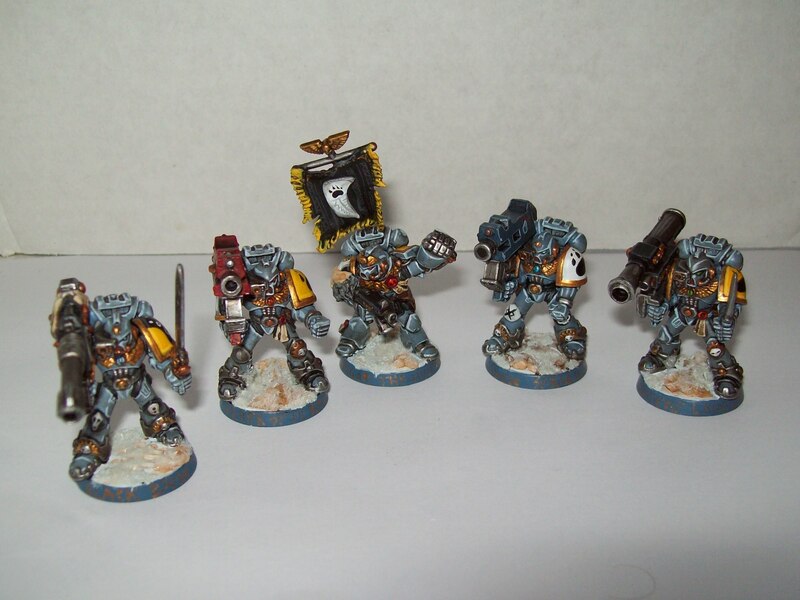 Then we come to Wolf Guard who have been split into two units, standard WG and Terminators. The basic Wolf Guard costs the same as before and has the same stat line and loadout. The nice thing here is that jump packs and bikes are now ridiculously cheap! They’ve dropped from 25 and 35 points to 3 and 7 points respectively. 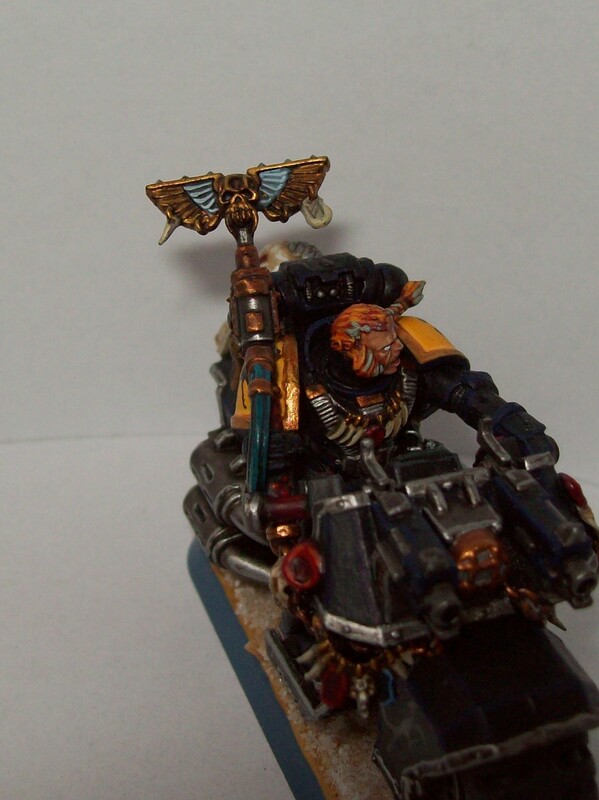 I like my Swiftclaws but they may get promoted!Terminators seem about the same, except that they can now deep strike. I know that Russ liked to fight on his own two feet but his elite warriors can’t seem to wait to get stuck into the action. I like a mobile list and I really should think about building more Wolf Guard! It’s only a pity that splitting the unit in two means that its harder to mix and match armour. You have to have a full squad of both (or attach guys to units) if you do. On to fast attack and Swiftclaws. I liked these guys before and I like them even better now that they’re five points cheaper, and with both Siftclaws and Skyclaws losing Headstrong, they’re far more versatile (I don’t have to babysit them). Then there are a bunch of vehicles. In my last game I felt that I needed more mobility for my Grey Hunters so I’ll have to pay some attention to this section in future (but not yet, not unless I’m planning to write another very late post). One curious thing is that the drop pod is now a fast attack choice not just a dedicated transport which I imagine will lead to some interesting shenanigans among more competitive players. The Stormwolf is also here and I’m probably going to invest in one of these in future (see Bloodclaws). 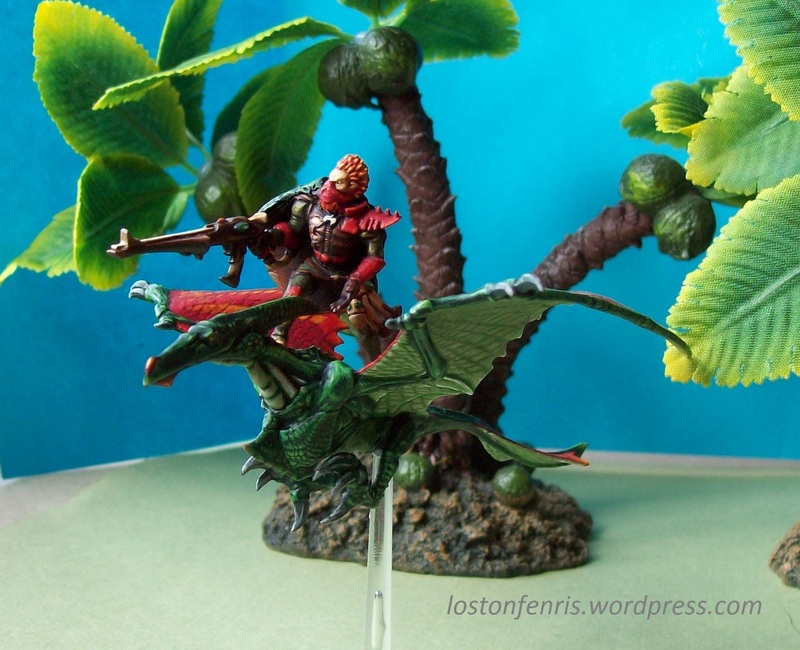 My old bugbear Thunderwolf cavalry are cheaper (there’s a theme here). They’re nice looking models with good rules but I think that they’re a wee bit silly (sorry). I do use Fenrisian Wolves occasionally and they’re the same as last time except that Supernumerary seems to have gone so they can potentially claim objectives, at least until the next FAQ. Yes, I am planning to take advantage of this, why wouldn’t I? I like my plastic puppies and I regret that I leave them in their case most of the time. Land Speeders are well, Land Speeders, the same as always, there are more exciting things to spend points on. Having gone through the fairly busy Fast Attack section, we come to the Heavy Support. 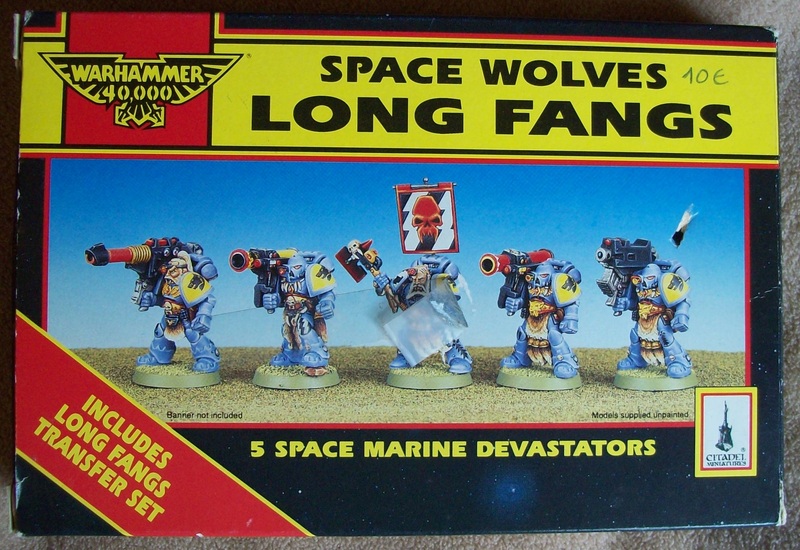 I mentioned the Stormfang in my last post and, obviously, nothing’s changed since then and I haven’t really had time to consider it properly yet. Long Fangs are more interesting to me right now (as I have quite a few of them) and they’ve got Flakk at last! Save for that, the only real difference is that they take Split Fire instead of the old book special rule. In 6th this might have been annoying but Split Fire is slightly better in 7th and it means that the Long Fang Ancient can now do something beyond direct traffic and catch bullets! I’m afraid I’m not going to go into the rest of the Heavy Support section as they’re all tanks and I’m not so interested in them (again sorry). The last thing to look at is Logan Grimnar who is now a Lord of War in his shiny new sledge (which I actually quite like). Lords of War are here to stay though I’m curious why Grimnar was “promoted” and I wonder what this means for Dante, Draigo and Marneus Calgar in future books. OK, having spent far too long rambling about units I should talk about the book itself which is up to the standard of all the hardback codices that I’ve read so far. It’s nice seeing everything in full colour and some of the old pictures are now clearer. The guy on the cover is just plain awesome! He’s far too good looking to be a Space Marine! Its a lovely looking book with both old favourites and some stunning new artwork. Its clearly set out and written well enough to keep the fluff bunny in me happy. I find the new layouts used for the entries much easier to manage than in the older books as there is far less flicking back and forth looking for rules and points and fluff. As someone who loses and forgets things far, far too frequently, it’s a good thing. Some of the photography could be a little clearer, I’m not too sure about the “artistic” styling, when I’m figuring out a new model I like nice clear photos for inspiration and these well, aren’t! Anyhow, overall I like the new book. I viewed a new Space Wolves codex with some trepidation as the old book was good and had aged well but it looks like this new one is up to scratch and is likely to remain a strong ‘dex for some time to come. The core units are still solid (if not more so) and there is enough flexibility for players to be able to adapt to new situations with as much (or as little) fluff as they wish to add. It’s a pity to lose a few little flavourful things such as the talismans, sagas (although they’re not gone entirely) and Mark of the Wulfen but the army as a whole has kept its flavour and I like it. Anyhow, that’s enough of this first, not too serious review. Next up for me is to build a few lists. I’ll let you know how I get on!